General Hospital (GH) spoilers reveal that the show’s adding a new cast member. You may have heard that Leslie Charleson suffered an injury recently. She was about to take her dog out for a morning walk when the pup got a bit too excited. Charleson tripped and hurt her leg, so she’ll be off set for a while. GH fans certainly hope Charleson has a fast and easy recovery! However, this mishap puts General Hospital in a bit of a bind. The show was getting ready to shoot important scenes that just couldn’t be cut. Monica’s needed on canvas in the near future, so that means a temporary recast is on the way. It didn’t take long for GH to find a suitable replacement. 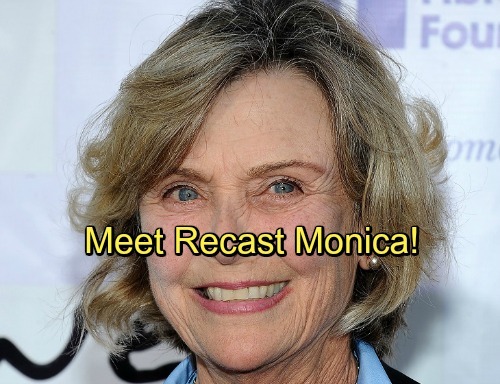 Soap Opera Digest reports that Patty McCormack will take over the part of Monica. Again, this is just a temp recast until Monica heals enough to come back. Still, we can enjoy McCormack’s fresh spin on the character in the meantime. She’ll undoubtedly serve as fine substitute while Charleson’s recuperating. If McCormack’s name sounds familiar, you might know her from her most popular film. She had a starring role in 1956’s The Bad Seed. We should also mention that this isn’t McCormack’s first time as a temporary recast. On As the World Turns, McCormack replaced Kathryn Hays as Kim Sullivan Hughes in the mid-70s. She also had a brief run on Dallas, so she’s no stranger to daytime and primetime soaps! In more recent years, McCormack has been a guest star on Scandal, Supernatural and The Ranch. GH is lucky they were able to score McCormack on such sort notice! She seems like she’ll be an excellent stand-in until Charleson makes her triumphant return. General Hospital spoilers say McCormack’s Monica will first appear around the middle of May. She’ll undoubtedly share some scenes with a few of Monica’s family members and maybe Nelle (Chloe Lanier) as well. It’s clear that Nelle wants to stay on Monica’s good side, so she’ll have to keep at it. What do you think about GH’s temporary recast? 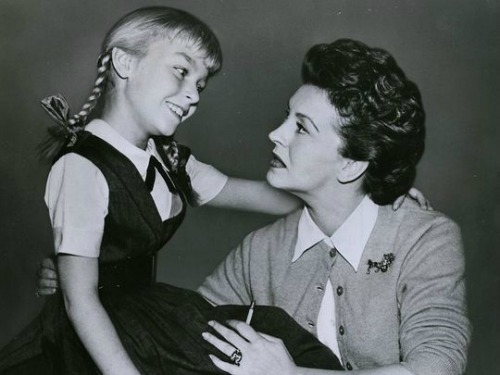 Do you feel like Patty McCormack is a good choice to play Monica, especially under these pressured circumstances? We’ll give you updates as other news comes in. Stay tuned to the ABC soap and don’t forget to check CDL often for the latest General Hospital spoilers, updates and news. General Hospital Spoilers: Anthony Geary Back in Los Angeles – Luke’s Surprise May Sweeps Comeback?